Worn out ESCO Pumps and/or broken high and low pressure industrial pumps are being replaced at processing facilities and operations throughout the US with high-quality DPumps manufactured by Phantom Pumps. 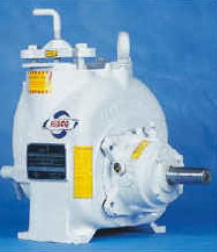 DPumps are centrifugal ANSI pumps that meet and exceed the highest industry standards, and each DPump is always assembled, tested and packaged in the United States to ensure its performance and reliability. PH Series Phantom Pumps self-priming pumps are also ideal replacements for ESCO Pumps HP Series models, which are used for countless industrial processing operations that require high pressure pump equipment. PH Series and HP Series compatible sizes include 3”, 4” and 6”. PH-3 and HP3 models feature 11 inch impellers and RPM ranges from 850 to 2150. Our application engineers at Phantom Pumps are the pump experts that processors can trust and rely on to determine which of the pumps in our line will produce outstanding results by carefully matching processing requirements with pump technical data and specifications. Processing facility service department managers are overcoming the rising costs of pump-related services by having their own in-house service technicians use DPumps replacement parts from Phantom Pumps to repair and maintain existing pump equipment. Technicians can count on the specialists in our parts department to cross-reference DPumps to ESCO Pumps and other brand name equipment parts. Replacement part orders are quickly processed for drop shipment or local will-call for pick up at any of the Phantom Pumps distributors’ locations in Florida, Georgia, Alabama, South Carolina, North Carolina and elsewhere. Contact us today to request quotes on any of our pumps or learn more about our exceptional products and services. We look forward to assisting you!